This rapier has a 1065 high carbon steel blade. Features heavy pommel and elaborate forward plates and guard. Overall length of 47 inches. A rapier of this identical form and proportions is currently housed in The Royal Armouries (formerly the Tower of London). The flamboyantly formed hilt is both beautiful and functional. Its' forward plates are pierced and show lavish birds among foliage, while the bars of the guard are slender both defending the hand and having an upward loop to catch an opponent’s blade. The heavy pommel allows for a more balanced feel for fighting. The blade is etched on both sides of the ricasso with the Latin phrase CHRISTUS IMPERAT which means “Christ Commands.” Made by Windlass Steelcrafts. This Rapier is very well done, the hilt is amazing looking and tightly constructed. The writing on the blade is nice and clean, the blade itself is a bit flexible but not nearly enough to ruin the sword. The balance is very good and feels great in the hand, finish on the guard is very nice as well. This is a beautiful sword. The craftsmanship is flawless so far as I could see. Service by Museum Replicas was also great. I did not keep the sword because it was just too heavy for me, but I can't complain since the description was accurate about the size and weight. Museum Replicas was very good about the return. This is the very first purchase I have made from museum replicas and I could not be happier. This is a very nice addition to my renaissance outfit and always seems to get noticed. The balance of the whole peice I actually very good. Just slightly more weight on the blade but not very noticeable. Would also be a great wall hanger and I may hang it over my mantel in the den. My first purchase from Museum Replicas. Absolutely beautiful. Came in time for Christmas thanks to excellent customer service from the company. Exceeded my expectations. Beautiful workmanship; styling; feel and balance. This is the first of many purchases to come. A nice rapier, however it is only slightly longer than the Deschaux rapier which is 37". Beautiful workmanship, nice balance, perfectly tempered. This blade is exactly what I'd hoped it would be. Some reviews I've read say the blade is too flimsy. I disagree. It's firm but flexible, exactly the way a working rapier should be. I highly recomend it. I may buy a second one. 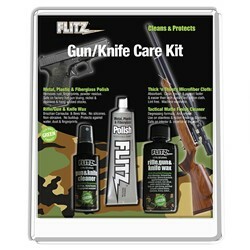 This knife, sword, and gun care kit offers polishing paste that works perfectly on metals, plastic and fiberglass surfaces. Also included is a12 x 12-inch absorbent micro-fiber cloth for easy application. This 17th century dueling rapier has a hand forged, steel blade with flattened oval cross section. Carved horn grip with swept basket hilt. Includes leather scabbard. Overall 44-1/4 inches. This belt is made of heavy leather. Black with steel hardware. Accommodates scabbards 1-1/4 to 2 inches wide. Trimmed with metal. This rapier features a blade crafted of 1065 high carbon steel. Ambidextrous hilt and wood wrapped grip. Overall length of 46 inches. This rapier has a blade made of 1065 high carbon steel. Features three ringed swept hilt and wire wrapped bone grip. Includes scabbard. Overall length of 46 inches.